Ooh! Before we start, here's a quick video showing the cardboard mobile moving in the breeze! 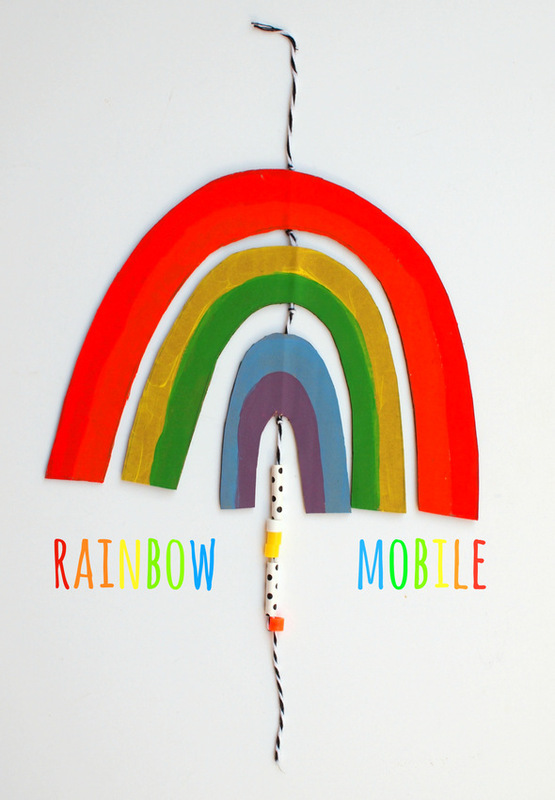 DIY Cardboard Rainbow Mobile from Pink Stripey Socks on Vimeo. 2. Trace your pieces onto a piece of cardboard. Make sure that the holes in the corrugated cardboard run vertically through your arches, so you can pass string through them. Then, paint each arch 2 different colors. (My red and orange look quite similar. Oh well. No biggie.) Make sure to paint both sides of your cardboard because your mobile will move! 3. Cut a piece of string. Use a skewer to push it through your biggest arch. Then, double knot the string. Then, push it through your second (yellow/green) arch using the skewer. (You can just push it through using brute force, or tape the string to a skewer or toothpick and make yourself a "needle.") Double knot it the arch in place again. Then, push it through your smallest (blue/purple) arch. Double knot it in place. 4. Add any beads and and then tie your string. 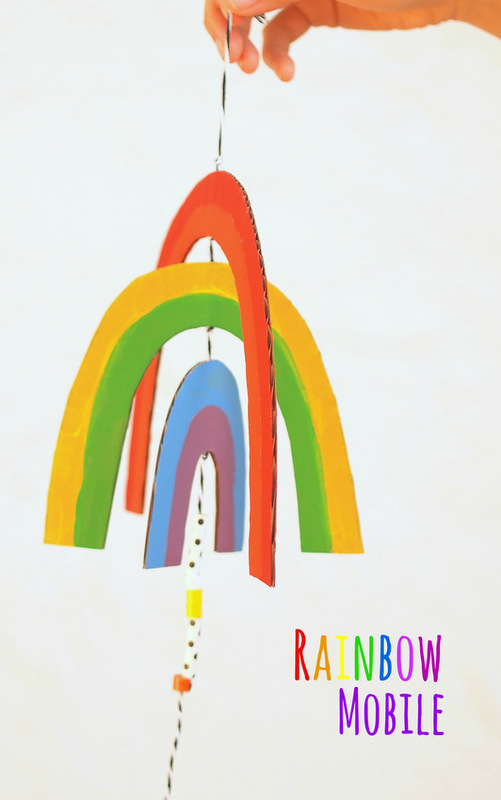 I hope you have a lot of fun trying the easy and beautiful craft out with the kiddos!